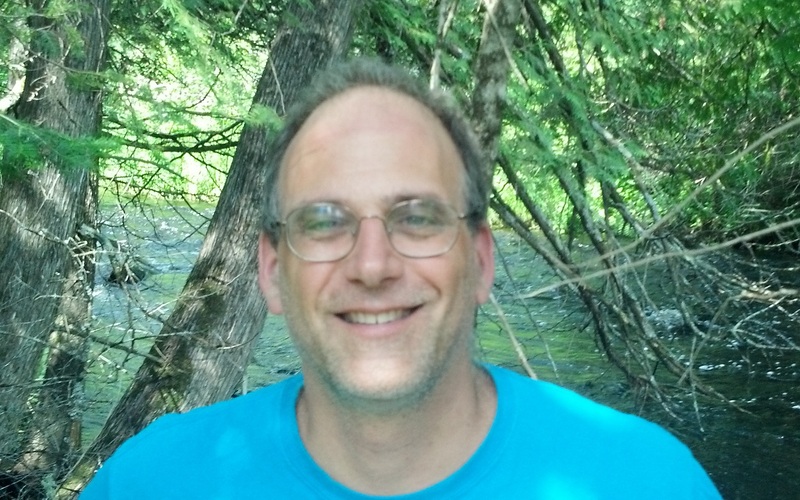 I am a Dedicant of SolSeed ( https://solseed.org ) and Gaia's People (https://gaiaspeopleottawa.wordpress.com/") and a member of the Unitarian-Universalist Fellowship of Ottawa. For a member of three religions, it may seem odd, but I am a naturalist; I believe that any phenomenon that we eventually discover to exist but which is currently considered supernatural, will then be considered natural. I don`t believe in any phenomenon that mainstream science has not reached a positive consensus on the existence of. I am also a social naturist but that is another matter! — Einstein, Albert (1956). “Science and Religion,” Ideas and Opinions. New York: Citadel Press, p. 26. That all started with the big bang! Hey! A scientist can discover a new star but he cannot make one. He would have to ask an engineer to do it for him. How far will chemistry and physics … help us understand the appeal of a painting? Your elephant stumbles across the floor of a cathedral; you hang on tight, not wanting to be thrown off onto the hard mosaic floor. You notice that inlaid into the floor is a giant image of a human brain. Your elephant regains her balance and stands firmly between the mosaic and a white marble staircase which spirals down into the floor. You look down the staircase and see three little girls in white robes with glowing blue eyes descending the stairs toward you. As you overcome the shock that seeing Sophia always gives you, you are shocked once again by the fact that she is descending up out of the floor. The geometries of both the gravity in the staircase and the staircase itself seem impossible. “Sophia, what is warping the space in that staircase? ” you ask as the three Sophia bodies acrobatically flip through the warped geometry at the base/top of the stairs. You turn and watch the Sophia bodies as they spread out looking at the Cathedral with awe. And as you turn, you see that the Cathedral is only half a Cathedral. The building is L-shaped and to your right there is a science lab, filled with workstations each sporting a different assortment of shiny glassware and beeping machinery. Instead of stain glass windows, at that end of the building there are whiteboards covered in hastily drawn diagrams and long complicated equations. You glance back to your left and re-examine the place where the cathedral and science lab meet and see that there is a third wing of the building running at 90 degrees to each of the others. This wing is a cavernous art studio, filled with easels and plinths upon which half finished sculptures stand. You hear a noise to your right and turn 90 degrees to find a large hall and in it a political rally is ongoing. People are raising placards above their heads which say, “Politician for Leadership; We Believe in Ideology”. A person wearing a brightly coloured suit stands on a high stage above them giving a speech. Somehow, although you can tell the suit is brightly coloured, you can’t tell if it is blue or red, green or orange. “Hah, you think science is successful,” you hear a Sophia body call from your left and turn 90 degrees to see three Sophia bodies in the art studio, shooting the love scene of a movie. “Hah!” You hear again. You turn 90 degrees to your left and see three Sophia bodies in a shop tinkering with a rocket engine while electronics with flat screens display massive amounts of data around them. “Hah! ” you hear from your right and turn 90 degrees to see two Sophia bodies sitting on an old couch in front of a white board in a lounge. “How many wings does this building have? All at 90 degrees?” You say quietly. Gaia appears beside you, “Enjoying this exploration of the dimensions of human thought, Little One?” she asks. Before you can reply, someone clears their throat. Everything else goes silent. You turn 90 degrees to your left and see the politicians in his brightly coloured suit standing with his supporters arrayed in ranks behind him. It feels like this wing should have been behind you. You turn 180 degrees all in one go and there the same wing with the same people are but the colours are somehow opposite. “Dimensions!” you think. A sudden loud cracking sound interrupts everything and you wonder if architecture is about to make a solid point. You look 90 degrees to your left and see the life size gold crucifix above the Apse shatter raining chunks of gold down on the alter and exposing Jesus. Jesus struggles to get free of the cross and then leaps down into the choir. “I do wish people would quit nailing me to things. ” he says and then stands in the choir smiling enigmatically. There is a cacophony of confusion as dozens of voices erupt around you disaffirming Jesus’s statement. And a longer puzzled silence. “I have to lay it out for you, don’t I? ” Jesus says. More silence, this time of the embarrassed kind. You look at the woman beside you and she turns her green eyes on you and says, “An interesting development, Little One.” Then the board room fades away. You are standing on the branch of a large savannah tree, your thick fuzzy tail twitching behind you, keeping you balanced as you gnaw on a nut. Below you, your elephant is reaching up with its two trunks and gobbling leaves from the same tree. Under your elephants feet the point of a silver pyramid protrudes slightly from the ground. A herd of thousands of heavy-bodied, horned herbivores is passing around the tree on both sides like a river flooding by an island. The herbivores are singing together, in rounds, a song about how much their leader farts and how bad it smells and laughing as they do so. Then you hear a voice, “Little one, I didn’t expect to find you now.” You turn and see Gaia standing on the branch beside you, her green eyes bright in the savannah sun. “Gaia, when did you expect to find me?” you ask puzzled. “Well 50 million years ago, that is where I usually find you. This is 50 million years in your future.” Gaia responds. She is squirrel like, just as you are. Her belly is flat, no sign of pregnancy, the continents woven into the fur on her belly are in the wrong places, the Pacific too narrow and the Atlantic too wide. “Why do the animals all talk? Is it metaphorium at work?” you ask, indicating the bird-like creatures. “So no civilization, is that why you are no longer pregnant? No civilization means we will never go to another world.” You speculate. “I think you are right, Little One.” But don’t eat that nut, it is almost pure metaphorium. Oh too late…” Gaia fades out of existence, along with the tree and the savannah and the herbivores and the birds. When the world reappears it is different. The heat is oppressive. You are nosing out of a hole at night. You have ceramic-like pads on your feet. You sniff the air. The air is cool enough that it is time to venture forth. Soon it will be morning and you will have to seek shelter in the deep caves under the hill. You crawl away from the hill and look behind you. The hill gleams bright in the starlight, a single gold and silver pyramid with a three sided base, each made of 5 vertical panels subdivided into 7 horizontal sub-panels, each sub-panel broken into 11 diagonal panels. It’s symmetry is amazing to you. You recognize it as something that was made or grown but you have never understood it. The others told you that it has always been. That your ancestors saw it just as it is now generations ago. You beckon to the hole you came out of and your elephant follows you out. Together, you sneak up on a plant. It is a solid slow growing thing. It barely survives each day, even as it gathers the photons it needs to live, and then grows a little at night with the little bit of energy it didn’t need to protect itself from the radiation and heat of the day. It also has some defences against your teeth. But you pounce and bite and drink the sweet juice that it bleeds. “What is that symmetrical hill then?” you ask, pointing behind you. “Something your kind left behind.” Gaia replies, desolate, “but it is a dead thing. It doesn’t reproduce or grow or move. It just survives. It spent 800 million years buried and now it is exposed. But so what?” Gaia is despondent. The darkness grows until nothing can be seen. You sit astride your elephant on the bridge of a space craft approaching a white dwarf star. The explorers are aliens with too many tentacles and not enough bones for your liking. The screen in front of you is fed by a camera on the outside the ship. The captain orders the feed to be switched to a camera pointed at the planet below. A barren world fills the screen, grey rock and vacuum. 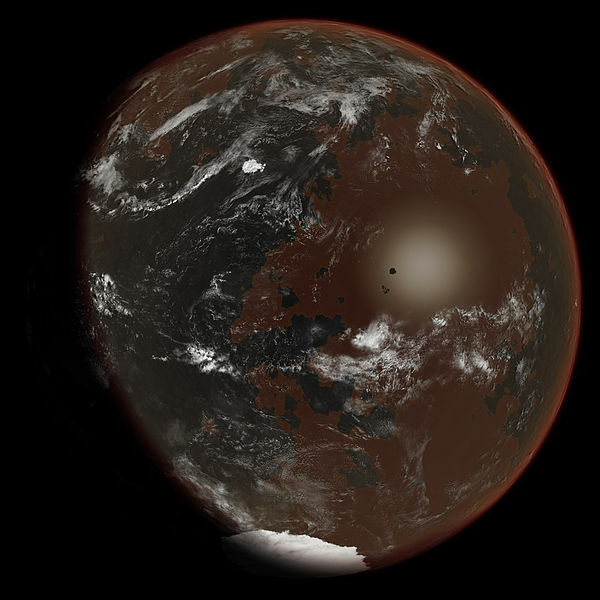 No clouds, no water, no soil, no signs of life. But you recognize the outline of Hudson’s and James’ Bay. You look around but of course, Gaia is not here. All Earth Life is dead. Gaia is gone. “There is just one of it. It has areas of two different albédos. It has three sides. Each side is divided into 5 areas. Each of those is divided into 7 sub-areas and each of those into 11 sub-sub areas.” The crewman says. “The primes!” The captain says. Launch a lander! “It is, as it was with the other civilizations we have found in our explorations.” The king nods glumly. The other alien scientist stirs and speaks for the first time, “There was one interesting idea that I found encoded in a tiny space inside a single website in the main recording of their webspace. It was a recording of blog in which a politician critiques a nascent religion called SolSeed. This politician is moral. He calls for humanity not to disturb the natural state of the universe and critiques the ideas of this religion. I can find no recording of the ideas of this SolSeed religion except in this politician’s critique of it. It is not a moral religion. It claims that Life wants humanity to spread Life from world to world until the universe is Green.” The alien pauses to cough a little spec of spittle out of its speaking orifice. “There is metaphorium in your eyes, Little One.” Thea Me Plokamia says, standing beside you watching the Galaxy Rise, “It lets you see true, Little One, the Galaxy is green. A single meme passed from Gaia to that explorer alien civilization. It was dismissed and talked about as a shocking aberration for a long time. But that which shocked one alien inspired another. Many millennia later, the idea took off. It passed through such a thin place. Gaia seemed dead and yet even from a dead state she brought life to the galaxy. Such is the beauty of the adjacent possible. Out of it allies emerge and amplify the smallest effort until it governs the fate of the universe. My friend Ben is writing a novel. He is seven chapters in (although he is considering shortening it) and it pains me that I can’t share them with anyone. It is also painful to have to wait for an author to write each chapter as I want so much to follow the adventure. The novel is about the adventure I yearn for. The adventure of setting out with Life toward other suns. The novel drives the adventure with the motivation that I find so inspiring. Commonly, fiction drives interstellar adventure with a desperate search for a place to survive. Instead here we find characters driven by the beauty of the fruit of such a journey; the spreading of Life to a trillion barren worlds. Yet the story is more complicated than that. There are characters with all different motivations. Those who seek survival in the face of persecution. Those who care more about human history and myth than the Great Story of Life in the Universe. Those who fear difference and diversity. Those who worship technology. Those who desire money and power. Those who desire only safety and freedom from fear. Through all of these differently motivated and conflicting characters and their interactions, the story pushes forth Life toward the stars. I love the way that the story uses common enemies as a catalyst for alliance, repurposing adversity toward the emergence of allies. Without enemies there is no motivation for alliance and no possibility for the greater accomplishment that alliance brings. It reminds me of trees, able to grow taller because of buttress roots that grow in reaction to the adversity of wind. It reminds me of fire which destroys diversity and then opens small patches of forests to new growth, increasing overall diversity. It reminds me of predators which push prey into developing defenses, maybe armour, which also becomes structure and allow for bigger, more powerful animals. It reminds me of creatures falling from trees to their deaths, pushing the adaptation of gliding membranes, and then wings emerging and resulting in true flight. The cycle is adversity, adaptation, repurposing of adaptation to new abilities, creating new adversities for other species. This cycle repeats and drives Life continuously out of one cage and into another. But each cage is different and each new cage provides the opportunity to escape into yet more cages in an upward spiral of ever growing possibilities. I recently heard that Philae recharged its batteries and reconnected with its creators here on Earth. 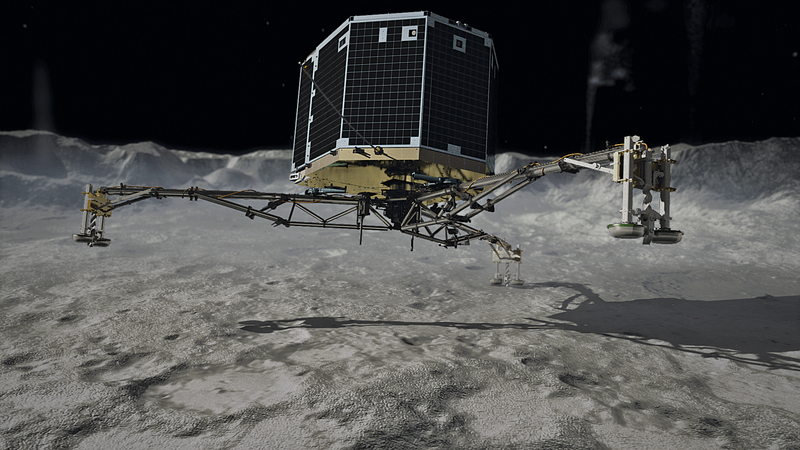 It reminded me that I listened a few months ago to a radio call-in show about the Rosetta-Philae mission. Many people were upset that 1.6 billion dollars had been spent on such a mission when that money could have been used to solve problems here on Earth. I wondered, “Did these people really believe that all of the problems on Earth could be solved soon and that then we would be ready to begin our trip to the stars?” Did they believe that Utopia, here on Earth, was so close at hand? Utopia is an intensely religious concept. That is to say, what makes an envisioned society into a utopia is that it matches your values and vision. I consider values and vision to be religious choices. If one says that in Utopia there will be no violence, then it is because one does not value violence. But, because values are choices or instinctive reactions, each person will envision a slightly different utopia. This contradicts the very nature of utopias which are societies where many people live together happily. The contradiction might be solved by imagining each person finding others who share their values and visions and gathering together to create their Utopia. This is why Utopia is a religious concept rather than a philosophical one. Philosophy is universal in nature. Philosophy can envision people with like values and visions gathering together to form utopias. But only religions are arbitrary enough to create a specific Utopia that matches the specific values and visions of any particular group of people. But this leads to a meta-vision of multiple societies living in parallel, each utopic to the citizens who chose it but not to the citizens of its neighbouring societies. These various utopias, no matter how well they are designed internally, may come into conflict with each other over the very values that make them utopic for those who inhabit them. For instance, one utopia, let’s call it Libertariania, may value freedom over all else. Its citizens may use that freedom to pollute the air. Another utopia downwind of Libertariania, might value clean air above all else. Let’s call this second utopia, Puritania. Puritania would be forced to ask Libertariania to restrict Libertarians from polluting the air. If the Puritan government failed to do this, it would no longer be upholding the values of its citizens; it would no longer be a utopia for them. But if the Libertarian government agreed to the Puritan request, then they would no longer be upholding the value of freedom of its citizens; it would no longer be a utopia for them. If the two utopias went to war over the issue, neither would likely remain utopic for long. Freedom would be restricted in order to win the war and air would be polluted by the war. So the very concept of utopia is an unattainable vision. This is one reason why many religions have placed utopias in the unverifiable world of life after death. As a naturalistic religion, SolSeed cannot place its utopia in such a supernatural place. Instead, we accept that a real utopia must, by its very nature, be at best an approximate fulfillment of our values and visions. Our values include empathy for others, life lived with passion, a wise mindful approach to problem solving, and an ever increasing diversity of Life. We don’t even pretend to have a solution to the internal conflicts between these values. Increased diversity of Life will create more conflict between Life forms; more predation, more parasitism, more competition and none of these relationships leave much room for empathy. Living your Life passionately does not always lead to mindful consideration of problems. We recognize these contradictions and seek no solutions to them. We have faith that solutions will be found that work locally for some period of time and then collapse to later reform into some new construct that again works only locally and only for a limited period of time. In essence we consider that we already live in such an approximate Utopia. The variety and grandeur of the Life that surrounds us is proof of this. It matters not that we are intermittently struck with grief and loss as our loved ones die and even as whole species go extinct. We experience these feelings of grief and loss as deeply as anyone. But we also know that they are expressions of the conflict between our values. Immortality would be immoral because it denies the evolution of diversity but empathy demands grief in the face of the loss of loved ones. Feelings of grief and loss are part of the diversity that we consider so valuable. The part of our vision that seems to make us most unique is the part that calls for the expansion of Sol’s Seed (life on Earth) into space, to create an ever-growing family of living worlds. Sometimes, when we talk about this we are told by others, that rather than spending money on space, shouldn’t we solve the problems on Earth first. It is the same argument that many callers made on the call-in show about Rosetta-Philae. But problems are caused by conflict and as long as various people are working toward different utopias here on Earth, there will be conflict between them. Therefore, we will never solve all of the problems on Earth until the Sun expands into a red giant and burns away all Life on Earth. Only then will there be no conflict and no problems here on Earth. Others say that until humanity achieves moral perfection it should not spread its dirty self to the stars. To this I say that the dream of moral perfection is an illusion. Morality is like utopia. It is an expression of choices of values. There is no such thing as moral perfection any more than there is such a thing as the perfect flavour of ice cream. If Life spreads to other worlds, and whether or not humanity goes with it, then yes, there will be wars on those other worlds. Yes, there will be atrocities committed in the name of king and country, religion and ideology. And there will be grief and aching feelings of loss. But there will be living creatures there to suffer through those feelings, to console one another and to rebuild and build anew. There will also be living creatures there to love and feel awe and perhaps feel new and wondrous emotions that have yet to evolve. If we stay here on Earth, self-flagellating and mired in guilt over our “moral imperfection”, we deny all those living creatures the chance to love and feel awe and evolve those new and wondrous emotions which we cannot yet imagine. The Rosetta-Philae mission is just one of the first steps we need to take if we are to give those diverse creatures a chance at Life. If your utopia is one where there is nothing alive to feel grief, then I am sorry but I do not share your vision at all. My utopia is a universe filled with riotous Life passionately living out its conflicts and perhaps learning over trillions of years as stars come and go amongst the riot, to mindfully and wisely solve its problems as best can be. I hope that many more billions of dollars can be found to work toward that utopia. Let’s talk about holonic relationships. A holonic relationship is the relationship between a part and the whole. It is the way that Life is organized. Organs are made up of cells. In this holonic relationship, cells are the parts and organs are the whole. The relationships are nested; organs make up creatures, creatures make up communities, communities make up the biosphere. To be in right relationship, parts contribute to the whole and the whole nurtures its parts. For instance, I rearrange electrons inside computers. This seems to be my contribution to society. To me, standing back, it doesn’t seem like much of a contribution. The other parts of society don’t seem to benefit much; they can’t eat the electrons, or drink them; electrons do not protect them from the cold or from storms. Yet, when I wanted to make my contribution to society, the building of things, society didn’t care for me as much. If I wanted to contribute beds and tables and chairs to society, society didn’t give me much for it. Society seemed to say, “Please just rearrange electrons in computers; that is what society really needs.” And so I started rearranging electrons inside computers and society gave me a home, and food, and clothing. But a relative of mine, he didn’t listen to society; he decided to contribute to society by maintaining windows. The windows protect people from the cold and let light into their homes and so, to me, that seems like a big contribution. But society eventually said to this relative. Your contribution hasn’t been that much; you can have a healthy wife or you can have a home but you can’t have both. He chose to have a healthy wife, which was a pretty wise choice when you think about it. But then society started hinting that it was time to give up his home. But I said that I thought he should have a home. And society said, well your contribution to society, in rearranging elections inside computers, has been so huge that if you think this person should have a home, well that changes everything and here is a new home for him to live in. I don’t get it really. Anyway, in the first few minutes after the moment of Equinox yesterday, I came across a guy named Eddie. Society felt that Eddie’s contribution was so little that all that society felt Eddie should have was an ice-cold mud puddle to lie in and a bottle of poison to drink. I know this was the judgement of society and not just Eddie’s choice, because the footprints of many members of society gave him a wide berth and trampled around him where he lay in the freezing mud. Now I don’t know what Eddie’s contribution to society was, but I doubted it was so low as to deserve only what society was giving him. So I helped him up out of the mud. But the poison he had drunk was interfering with his muscle control and he couldn’t stand on his own. So I held him and I used my skills in rearranging electrons in a computer on a little portable computer I was carrying. It did something useful and it connected me to a woman who asked me if I wanted a Police Car, an Ambulance or a Fire Truck. I told her that I wanted an Ambulance for Eddie. She asked me about Eddie … and sent two police cars. Two strong, young, healthy police officers got out of those cars. I asked one of them if they were going to take good care of Eddie and she said yes. And so I left Eddie in their care. And I hope they took good care of him because I have no faith that Eddie’s contribution to society was less than mine. Now, I think back to one of my last acts of the winter of 2015, just a few hours before I met Eddie. I was negotiating the cost of creating a database for the Multifaith Housing Initiative to use to keep track of its donations and donors and fundraising and volunteers and committees and employee’s leave. I told them I would build it and transfer their data over to it from the various spreadsheets they were using. And I gave them a price that was way too low. I am glad I did, because it is really just more rearranging of electrons inside a computer. And their mission is to help people like Eddie. If they aren’t spending too much money on moving electrons around then they will have more money to protect Eddie from the cold. It is the least I can do.